Getting married is a truly joyous occasion, but actually planning a wedding can be pretty dreadful. With so many decisions that need to be made in a short amount of time, wedding planning can make even the most confident people anxious about their big day. Luckily, there are plenty of ways to simplify your wedding planning experience. In fact, there’s a burgeoning industry of wedding planning apps here to help you with your big day With that in mind, the team at Platinum Banquet Hall is here with some recommendations on wedding planning apps that you absolutely need to start using. It’s pretty difficult to keep track of everything you need to plan with for your wedding, but LadyMarry makes the planning process easy. This app creates a personalized timeline of what you need to do and when you need to do it. With its easy checklist-like format, you’ll be able to plan your wedding with ease. The app even offers suggestions of vendors for food, decorations and more. WeddingHappy Wedding Planner is another helpful wedding planning app. You can plan tasks you need to complete and track them easily through the app. But what makes this one really unique is its payment tracking feature. The app allows you to input different vendors and their costs, adjusting your price per guest and remaining budget as you input new numbers, helping you see the big picture and stay on budget as you begin spending. This photo printing and card making app is already pretty popular, with most fans using it to craft holiday cards. But you can also use Shutterfly to print your save-the-date wedding invitations, saving tons of money by forgoing the traditional printing process. You can also use the app to print gifts for your bridal party, giving them something personal that captures the magic of your wedding. Finding a wedding venue can be the toughest part of the planning process, but Wedding Spot makes the hunt significantly easier. This app allows you to search through a huge catalog of wedding venues, with the ability to filter options based on your location, budget, and venue preference. You can even book appointments to visit venues and get estimates on prices directly through the app. Today, everyone’s snapping photos at your wedding and posting them to social media. And while it’s fun to see your big day memorialized across the internet, it can be a bit annoying to hunt for specific photos across different social media platforms. Thankfully, WedSocial by WeddingWire eliminates the hassle. This app creates a hub that allows guests to upload all their photos from your wedding to one place, creating an easily searchable database of memorable moments. Guests simply download the app, use a provided code to access your wedding’s page, then upload away! One store wedding registries are a thing of the past, but having registries with multiple vendors can be pretty annoying. Luckily, the Zola Wedding Registry app solves that problem thanks to its universal registry function. Simply swipe through a variety of items you’d like added to your registry and direct guests to the app so they can see what you’ve listed. 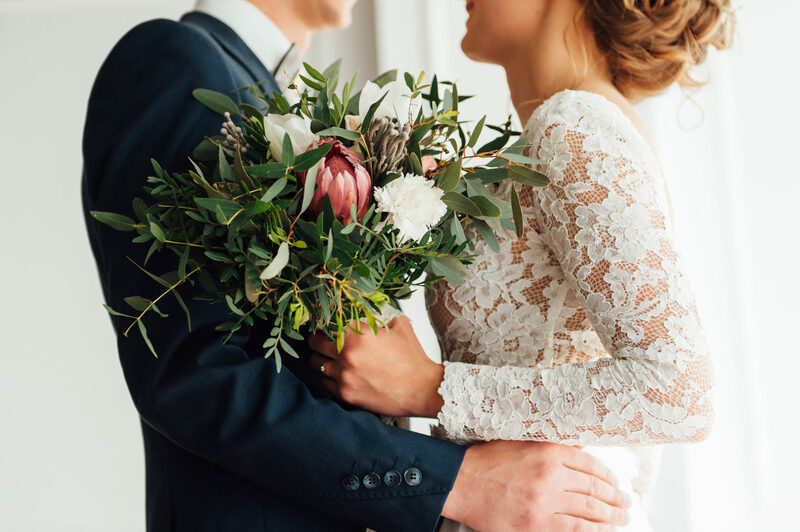 Planning a wedding is a massive undertaking, but with the help of these wedding planning apps you’ll be able to plan and execute your big day with ease. If you’re looking for a wedding venue in Los Angeles, consider Platinum Banquet Hall. Our venue offers elegant, luxurious accommodations that can fit any budget, making it the perfect venue for your wedding and reception. Contact Platinum Banquet Hall today for more information on our wedding event venue service.